What New Solar Technology Will We See in 2018? Enphase is once again introducing what they call AC Modules, basically solar panels with Enphase’s microinverters already attached. This new offering is meant to decrease installation time, allowing installers to see higher profit in an industry where profit isn’t guaranteed. Enphase’s new AC Modules are a product of their time: the solar industry affords installers and manufacturers notoriously slim profits and it’s a hard industry to really flourish in. Installers are always seeking ways to cut costs — and installation labor, which accounts for only about 10% of a system’s total cost (p.16), is not immune. A solar panel with an inverter already attached is one less step an installer must take up on the roof. Enphase has partnered with both LG and JinkoSolar for the solar panels and they are already available on the market. In another step symbolic of the future of the industry, Enphase now also produces a lithium-iron-phosphate AC battery (not to be confused with the more prevalent lithium-ion battery) that enjoys a 1.2kWh capacity and fits together nicely with its AC modules (or any other Enphase products). 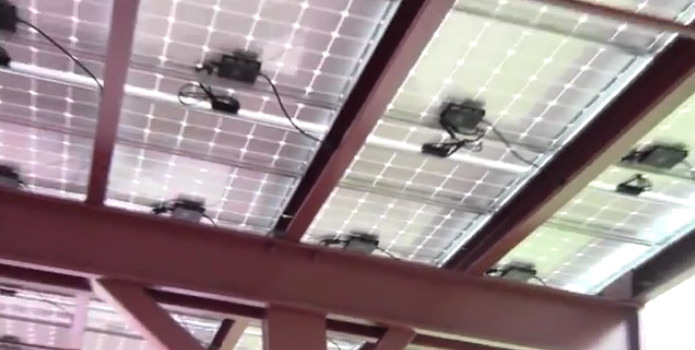 While the AC module really isn’t groundbreaking – after all, it’s just a normal solar panel with an inverter stuck to the bottom – it shows the diversity and creativity that’s inherent in the industry. We’re not stuck on one system or one way of doing things. There’s still plenty of room for innovation. Tip: If you’d like to learn more about Enphase and their microinverters, check out our comprehensive post Enphase Microinverter Reviews and Company Information. Why we’re excited: First off, it’s Tesla. Secondly, this is the first true step into legitimate BIPV (see below) for residential applications. 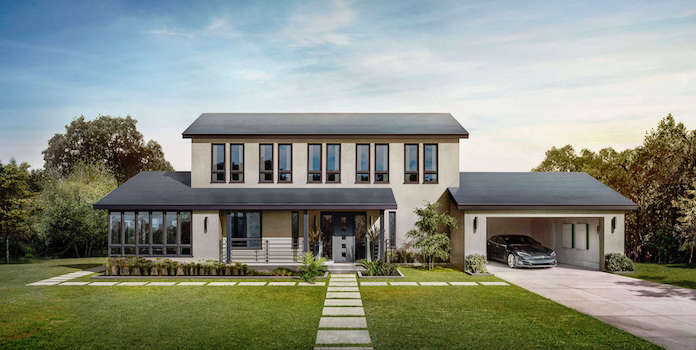 We’ve all heard about Tesla’s solar shingles, but for good reason: they are really cool. These shingles are a form of ‘building integrated photovoltaic solar,’ or BIPV, since they are integral to the home instead of installed on top of the home. The shingles are sleek and durable. You’d look at a house with Tesla’s shingles and never know it was actually producing electricity! They also come with a 30 year warranty for energy production – longer than any other conventional panel, as well as a 30 year weatherization warranty (ie no water leaks or anything similar), and an ‘infinite’ tile warranty – as long as your home is standing, your tiles are guaranteed not to break. While the solar roof will likely be more expensive than conventional solar panels, you can still come out ahead financially when compared to purchasing all your electricity from your utility over 30 years. Tesla is the first company to really break into BIPV for homes. 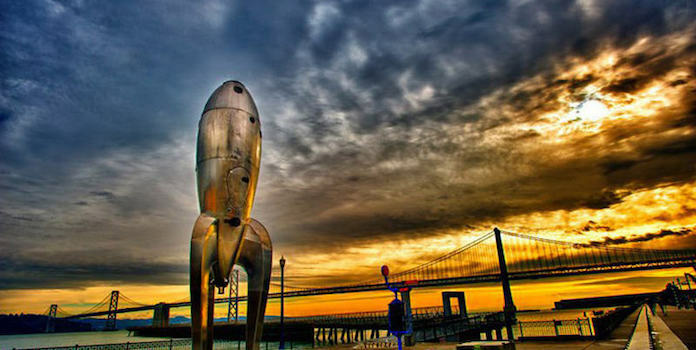 They’ve got the experience and reputation for innovation that gets people excited about a new product – and their past track record shows that they can actually get amazing products to market that meet, or even exceed, the high expectations they set. Tesla is ramping up customer installations for their solar shingles throughout 2017. Tip: For more info on costs, check out our article Update: Tesla Solar Roof Tile Cost vs Regular Solar Panels. Why we’re excited: Perovskite solar cells are an entirely new way to produce electricity. They have the potential to be cheaper, more efficient, and more versatile than the conventional silicon solar cells available today. Perovskite solar cells are a new type of solar cell, composed of materials other than the traditional silicon. What’s so exciting about perovskite cells? First off, they’re easier to manufacture than conventional silicon cells, and cheaper as well. Secondly, they’re extremely efficient. A South Korean university recently produced the most efficient perovskite solar cell in the world, at 22.1% efficiency – much better than our average silicon solar panels. Due to the materials that compose the cells, perovskite solar cells have the potential to go as high as 72% efficient (if we can get it there), much higher than silicon cells. Lastly, they’re very versatile solar cells. They can be printed onto glass or thin-film and can be used to make flexible solar panels, traditional panels, or even BIPV. Pretty cool, huh? Unfortunately, perovskite solar cells have been plagued by poor durability and fast degradation. These cells typically only last a few months outside. However, researchers are carrying out more development and testing to correct these deficiencies. In 2017, a team in Switzerland was able to create a perovskite cell that lasted a full year without losing any of its 11.2% efficiency. Obviously, this is a long way away from our conventional solar panels’ 25-year warranties, but you’ve got to start somewhere. 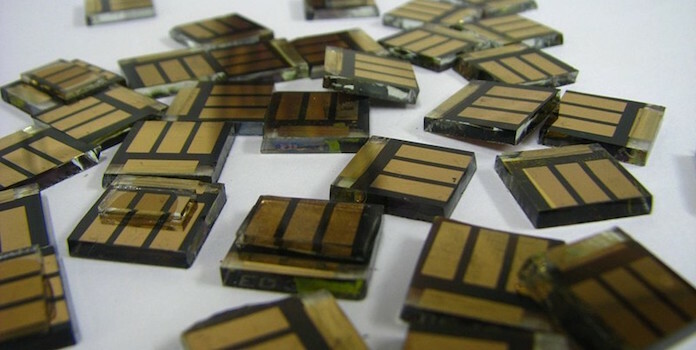 Perovskite solar cells are the ones we need to be watching for over the next 10 years. Tip: Our article Perovskite Solar Cells: Review of the Technology and Benefits goes into even greater depth on all these issues. Why we’re excited: It’s a new way to sell and purchase renewable electricity, directly from your neighbors! This isn’t really a new solar technology per se, but it does have far-reaching effects on the solar industry, so we’re including it here. If you’ve already gone solar – or are thinking about going solar – you’re probably thinking that it’ll be good for your pocketbook as well as the environment. You’ll produce your own renewable energy and even put some extra back into the grid (via net metering) to be used elsewhere. Less electricity from fossil fuels. Nice! But did you know that our grid infrastructure – the wires, poles, transformers, etc – are actually pretty inefficient? When electricity travels through our wires, there’s a loss of power – about 6% on average. The further that electricity has to travel, the more of it is lost. That’s where micro-grids come in. They’re small, tight-knit, and more efficient. A neighborhood in Brooklyn is now testing out a micro-grid in which residents can buy and sell electricity directly to their neighbors – cutting out the utility provider entirely. How are they legally doing this? LO3, the company leading the experiment, set up a credit system based around blockchains – an ultra-secure online credit system that tracks transactions between users. If it sounds weird, just think about Bitcoin or Venmo – they’re based on the same idea. With blockchains, users purchase credits which are then used to buy electricity. With this system, no money ever actually changes hands, making everything completely above board legally. 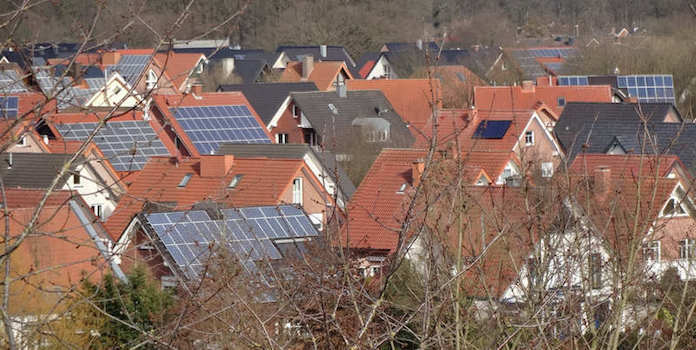 Now solar homeowners can sell electricity directly to their neighbors – no middleman – and cut out any fees along with it. 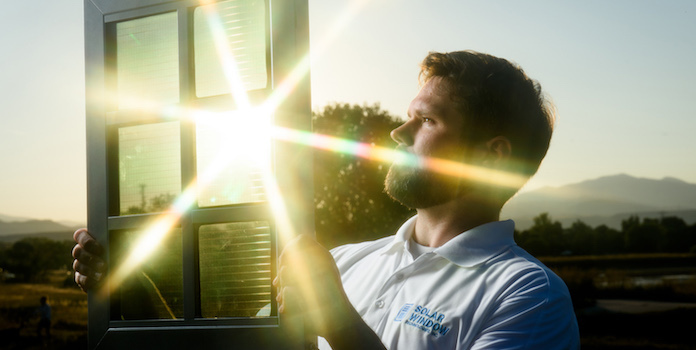 In the end, some of these technologies could change the face of the solar industry, while others will fall into obscurity as strange objects of history (Laserdisc, anyone?). Instead of zoning in on one of the incredible new technologies above, hopefully you see that the solar industry and its products aren’t set in stone. There’s room to make things better and there are companies out there that are willing to put the time and money into figuring out how to do so. We all see the value in solar energy and it’s exciting to see what will happen to the technologies above, as well as what new products will come out in the future. It’ll probably be things we could never even dream of today. Or perhaps we can? 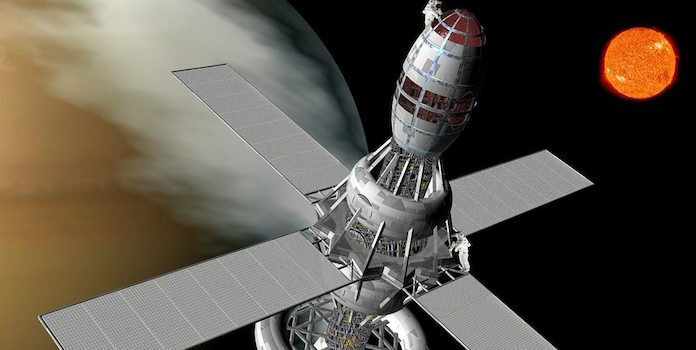 Solar powered spaceships to Mars in the pipeline somewhere?